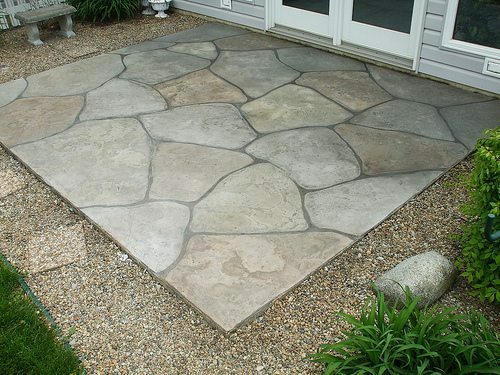 Another one of our popular designs/textures that we install, is our Grand Flagstone concrete resurfacing system. 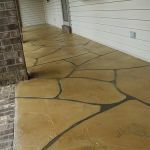 Flagstone is a classic look that dates back to 13th century Europe where it was used for interior flooring on castles. 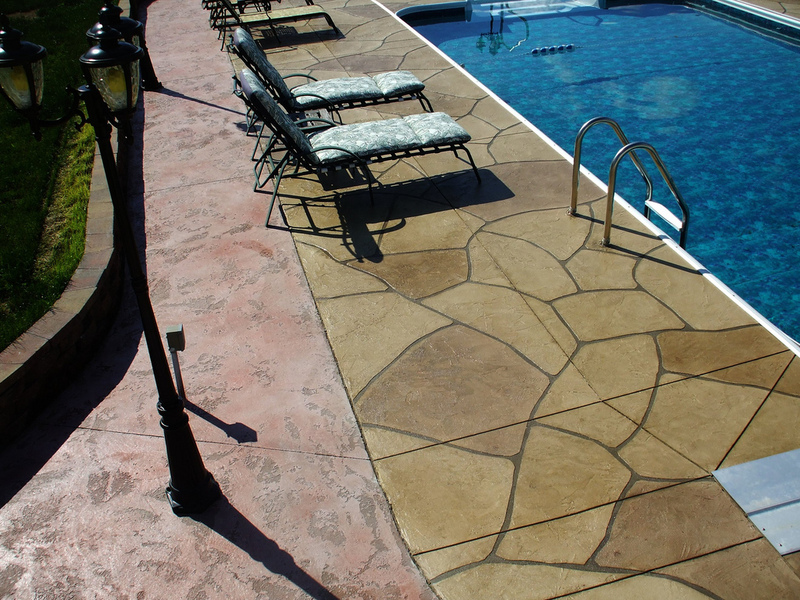 Give your client the authentic look of large stone or, traditional stamped concrete without breaking the bank! 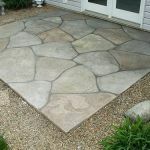 Create over-sized stones on pool decks, patios, porches, and more. 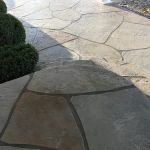 Stone texture troweling is done over hand-crafted patterns followed by a layered antiquing process for a natural flagstone look. 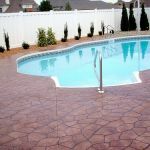 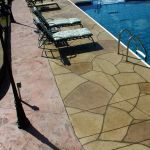 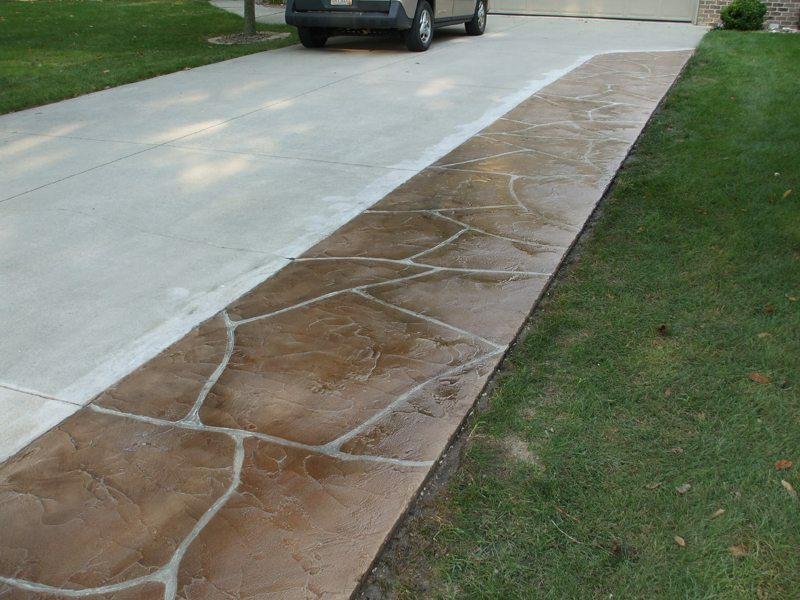 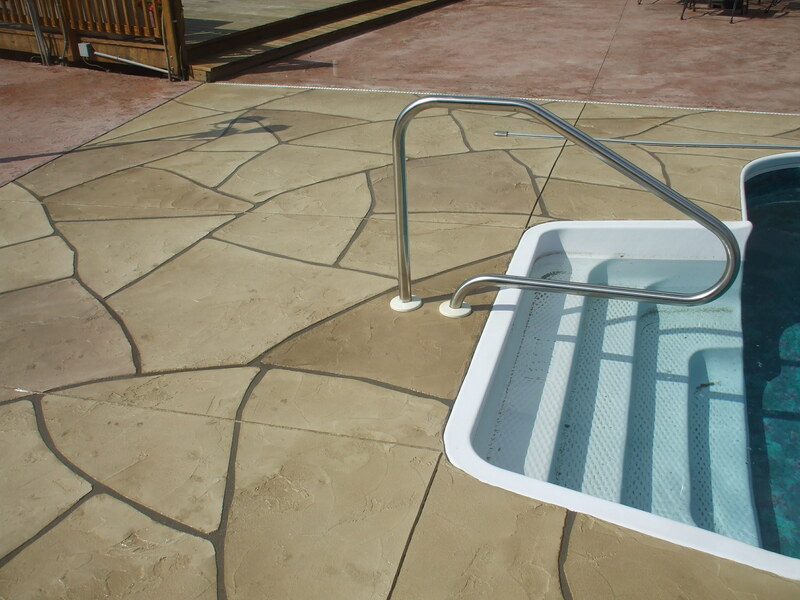 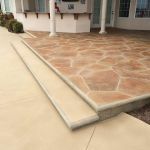 This system is superior to traditional stamped concrete for many reasons. 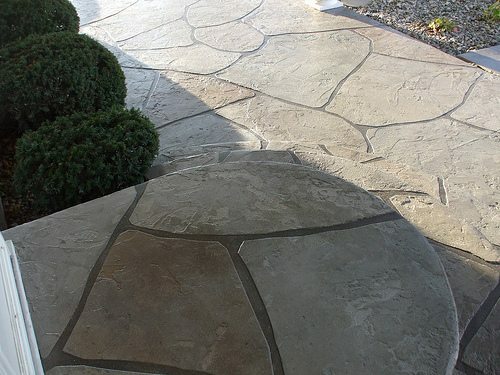 One being Grand Flagstone is completely customizable. 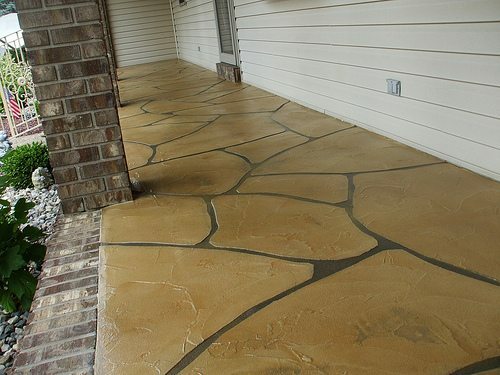 You will not get the repeating patterns that you see in traditional stamped concrete. 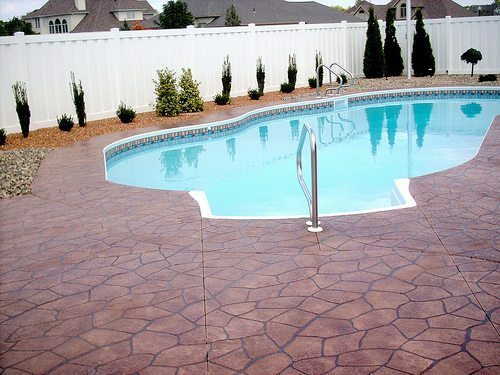 This allows for a more natural look. 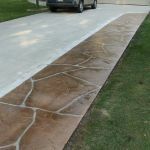 We only use industrial strength products that withstand the heaviest of traffic, and the most severe abuse from mother nature. 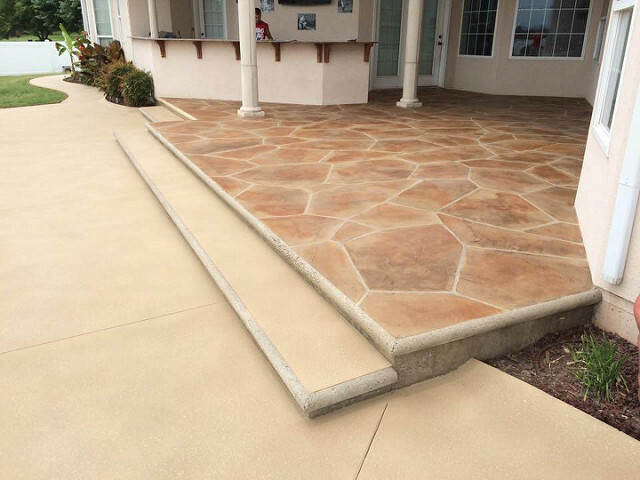 When choosing Speakman Coatings you are getting a decorative system that will last.